India vs Pakistan matches are witness to one of the biggest sporting rivalries in cricket history. For people in both the countries, these matches are just as important as World Cup finals. Apart from Pakistan and India, there is immense interest in these matches abroad too. Due to which, matches between the two nations have also been played in numerous countries. United Arab Emirates and Canada have particularly been the venue of many bilateral and multilateral ODI series between the two teams. Earlier, people went to the stadium. Now, we go online to catch the India vs Pakistan live match. With time, the India vs Pakistan experience has evolved. But the passion remains the same. If you share that passion too, keep an eye on this informative page on India vs Pakistan matches. Whether you are looking for past stats or upcoming match updates, the information is all here on Dream11. India and Pakistan share a common cricketing heritage that goes back to undivided British India. Post the formation of Pakistan, there were many players who had played alongside their rivals as teammates before. To know more fascinating facts about the India Vs Pakistan rivalry, read on. After the country’s formation, Pakistan’s first Test tour was to India in 1948. This was followed by India touring Pakistan in 1955. The highest individual score by a Pakistani batsman against India is 194 by Saeed Anwar in 1997. It was the highest individual score for the time. The highest individual score by a Indian batsman against Pakistan is 183 by Virat Kohli in 2012. 356/9 is India's highest ODI total against Pakistan. Pakistan’s highest ODI total against India is 338/4. India had once bowled out Pakistan for 87/10 at Sharjah in 1985, making it their lowest total against India. Since 2012, there has been no bilateral series between the two nations. India vs Pakistan matches have only taken place during ICC tournaments. India vs Pakistan cricket matches are some of the most viewed television broadcasts in both nations. For example, the 2011 ICC Cricket World Cup semi-final was seen by nearly 135 million in India alone. With the facts you read above, you now have a better idea of the India vs Pakistan cricket rivalry. The matches featuring both these teams have some of the most exciting moments in cricket. 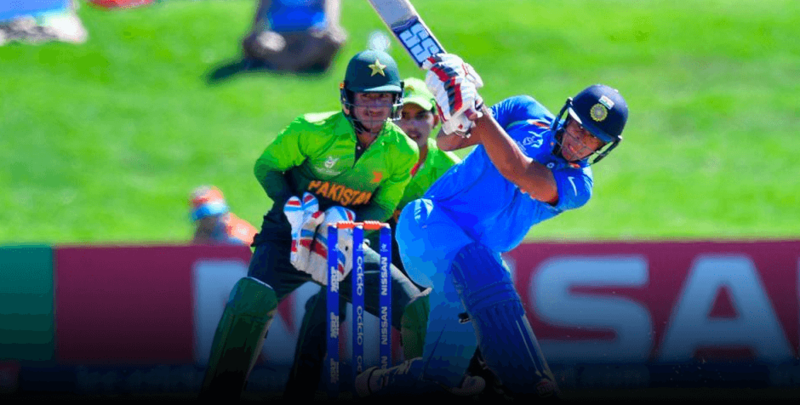 With Dream11, be a part of that excitement with many interesting details and facts about upcoming matches between India and Pakistan. Currently, these teams shall be participating in the upcoming Asia Cup Series. So, here are some of the things you can expect on the India vs Pakistan page on Dream11. Polish your knowledge on the teams with details about the featured squads of both nations. Track the progress of the matches with a detailed scorecard. Fix your schedules to sync with the official match timings listed on Dream11. Keep yourself informed about the top performing players to watch out for. Keep yourself updated with details like the Man of the Match and other awards given in the post-match ceremony. So, head over to Dream11 right away and dive into the India vs Pakistan cricket experience online.